Most modern hip and knee replacement parts have a long history of excellent safety and few known mechanical issues. In recent years, there have been a handful of very specific implants involved in a recall process due to metal reactions, higher than expected failure rates and other unanticipated problems. Most companies offer numerous models and designs of their implants (like the car makers and the different makes and models they offer). It is important to keep in mind that just because one model has been recalled, the company is likely to have many others that are performing very well. The vast majority of patients will not experience an issue with a recalled implant. If you are concerned about your particular type of replacement, we recommend you contact your surgeon’s office to ensure that your implant has not been involved in a recall. The metals used in hip and knee replacements are generally well tolerated by the body, even in patients who have skin sensitivity to certain metals (this type of allergy involves a different part of your immune system). For more detailed information, please see the FAQ on metal allergy and joint replacement. 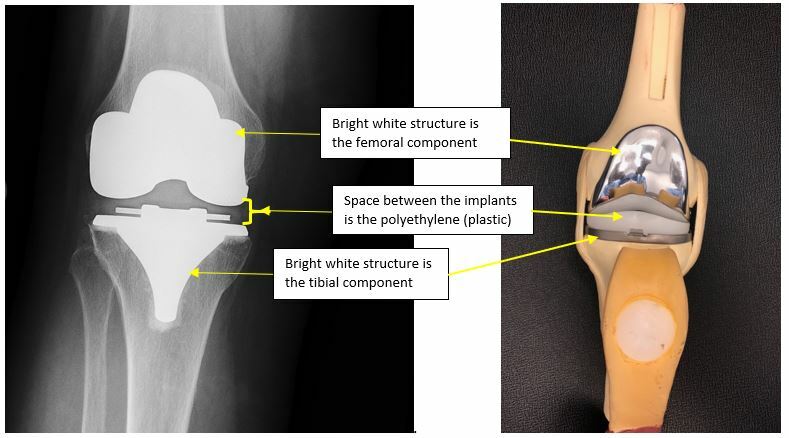 While recent concerns have been raised about the potential for developing metal poisoning (cobalt or chromium toxicity) from hip and knee replacement parts, such cases are thought to be exceedingly rare. 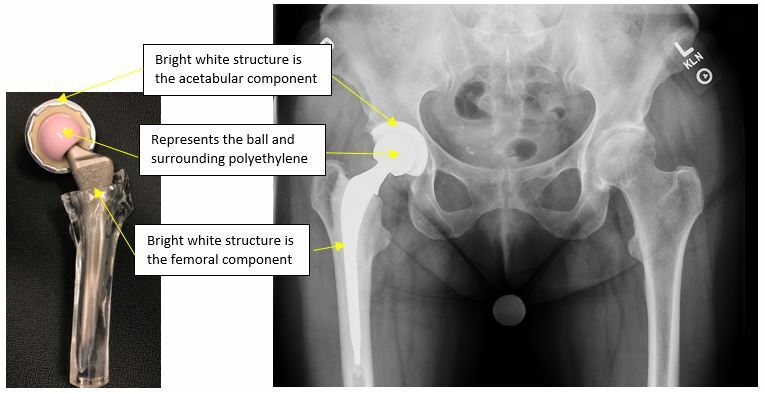 In some cases (typically associated with very specific models of hip replacement – most of which are no longer used by surgeons), excessive levels of metal ions may be generated by the implant surface contact points. These metal ions may in turn cause a reaction in the tissue around the joint and can, in isolated cases, lead to tissue and/or bone destruction. If your implant is functioning well and you have little pain or change in comfort level, chances are you are at very low risk of a metal reaction. If you are experiencing new or worsening pain, contact your surgeon to be evaluated. Again, cases of metal poisoning from orthopedic implants are very rare and generally occur in the tissues around the joint involved. While in theory hip and knee implants can lead to elevated levels of metal ions in the blood, systemic side effects of metal poisoning from joint replacements (kidney damage, neurologic symptoms, psychosis) are exceedingly rare.